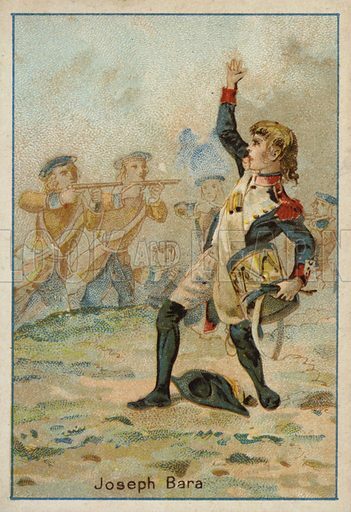 Joseph Bara (1779-1793), French Revolutionary boy soldier killed during the Vendee Revolt. French educational card, late 19th/early 20th century. Available worldwide for immediate download up to 3,311 x 4,832 pixels.